Audio Note UK R-Zero/II stand alone phono stage, my review of AN's least expensive phono stage.. Discussion in 'Audio Hardware' started by Steve Hoffman, Jun 16, 2018. Just picked up my brand-spanking new R Zero II from @Warren Jarrett at the Audio Home. Plugged it in and it was DEAD SILENT! Then realized I forgot to plug the Output RCA's into my amp. Oops. So plugged those in and was a bit worried because I do not have the ideal set up for getting my phono stage away from transformers, modems, etc., but voila, it's very quiet (even when properly hooked up). Instruction manual says it needs 30-45 minutes to warm up and at least 200 hundred hours of "bedding in" time. Trying not to listen critically, but I keep reaching for record after record - always a good sign. I'll report back after a bit more bedding in, but this appears to be a great way to dip a toe into the Audio Note family. Give that sucker some real good break-in time, but enjoy in the meantime. The worst it is ever going to sound is today. Congrats. 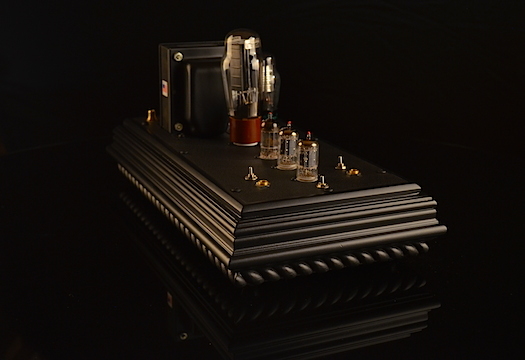 The R-Zero phono stage is really a special item in the Audio Note line of products. It is an assault on the unwarranted reputation that some people propagate, that AN equipment is too expensive. So the R-Zero is priced just right as an entry level phono stage (for MM only), but it uses vacuum tubes and truly sounds excellent. For a low output moving coil cartridge, a transformer step-up is recommended. Where does it sit in the AN line with respect to 'levels', and in relation to the various internal phono stages please? If you're using a SET amp, is it advisable to use a SET phono stage? Is the R-Zero a single end triode design? Thanks. Let me phrase this differently. I'll be moving into a SET amp from a push-pull amp (Decware SE84UFO from a Vacuum Tube Audio ST-70). I have a push-pull phono stage (Don Sachs PH16 Phono Stage), does that defeat the magic of the SET amp sound? Should I consider a SET phono stage, such as the R-Zero? Or I don't know what I'm talking about (not the first, or the last, time). Just trying to wrap my head around some new things. As for your question HAH I can't answer it - the R-Zero is Audio Note's level Zero and is part of the Zero series - the I-Zero integrated amp - the only amp in the Zero range is a Push Pull amplifier - a very VERY good one. But it is Push Pull. The M1 Line and M1 Phono are phase inverting. The M2 Line and M2 Phone are phase inverting. So just going by the website to get a Single Ended topology would require an M2. In response to this, the M1 RIAA phono stage uses a single-ended, zero feedback circuit topology. I seriously doubt any negative effects will occur from using the Don Sachs stage ... as the Decware amp is the last piece in the chain aside from the speakers. So you're still going to get those even order SET harmonics from the Zen amp. That said, if considering a single ended phono stage I would take Decware's own ZP3 over the AN Zero. ZP3 = single ended, zero feedback also includes point to point wiring (almost unheard of for a handmade USA product in this price range), lifetime warranty not to mention synergy with the Zen UFO amp. I sell exclusively Audio Note, so I SHOULD be recommending you change your preamp and phono. But I generally express my opinion honestly rather than exclusively support the brands I sell. You will LOVE having a SET amp, the qualities will be revelatory. But, no change required to anything else. Just enjoy. If you audition other preamps and phono stages, you may find one that sounds better than what you have... or you may not. It is all about synergy and your personal taste now. Nascimento Brasil and beowulf like this. There are very few tube phono preamps or linestages that use a push-pull design. The few exceptions would be ones with an output transformer and ones with a balanced output via XLR jacks. I couldn't find much information about the PH-16 design but some photos of the interior do not show any output transformers and the number of tubes suggests it does not have balanced circuitry. I could be wrong but I seriously doubt that it is a true push-pull topology. However, it really doesn't matter. If it has RCA output jacks it has single-ended outputs and it will work just fine with a single-ended power amp or a push-pull power amp. Everyone, thank you for your replies. I appreciate it. I think I will follow Warren's advice and start by listening to the SE84UFO without making any other changes. Enjoy that and go from there. I will keep the R-Zero in mind. I didn't mean to hijack this R-Zero thread. I should start a thread titled, "Triodes, Zero Negative Feedback, Single-Ended Topology, Directly-Heated, and other SET questions", because I see I had some basic misunderstandings, such as triodes and zero negative feedback equaled single-ended topology, and that appears to be wrong. I must say that I'm really enjoying this hobby. The learning can be difficult, but each new advance brings tremendous rewards. I had no idea. Nascimento Brasil and gumsrave like this.